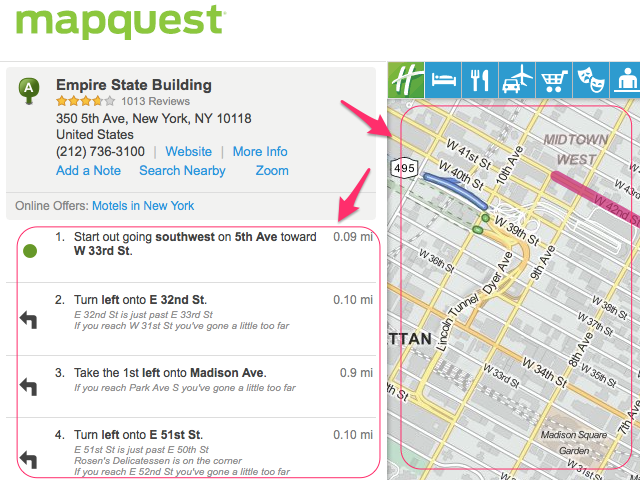 Use MapQuest to get driving directions to a specific location. The service also offers route information and maps. 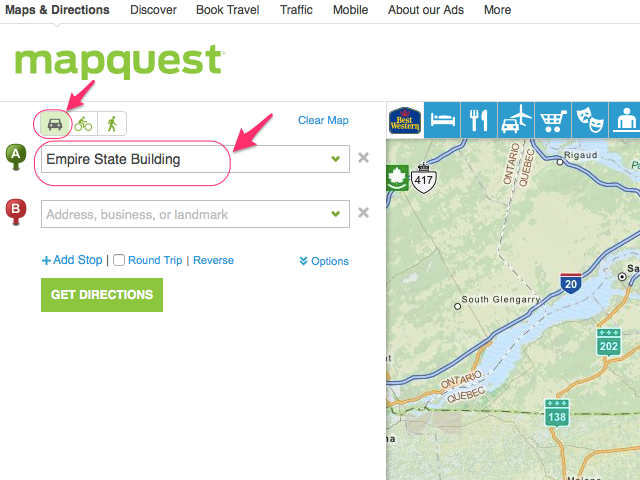 Use the online service MapQuest to help plan your next road trip. 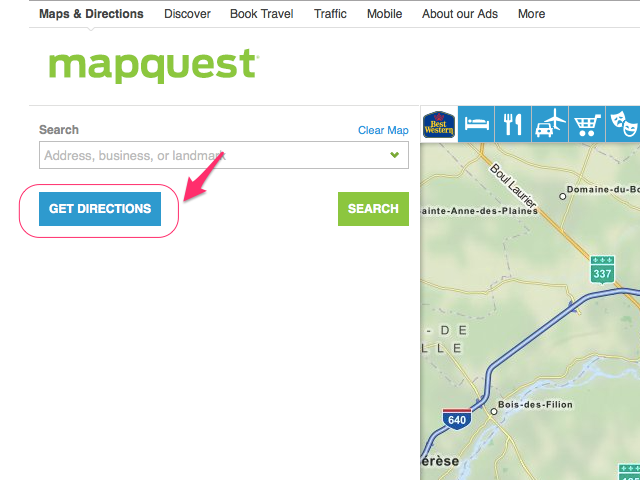 MapQuest is the oldest online mapping service and offers a variety of different tools to help you get to your desired destination including step-by-step directions, route information, detailed maps and fuel costs. Get driving directions to a specific location in just a few steps. Click the blue Get Directions button on the left-hand side of the screen to navigate to the Directions page. Enter the departure point of your trip in the A text box. This can be an address, a landmark or a business name. If you don’t have the address of business, just type the business name and all locations of that business will populate a search results list, usually starting with the closest, and you can select one from the list. The driving directions icon above the text box should already be selected by default. Enter the destination of your trip in the B text box. Like the departure point, this can also be a specific address, a landmark or a business name. Click Options to select what unit of measure is used to calculate your distance. You can also select a variety of filters to optimize your route, such as ranking routes by shortest distance, shortest drive time, or avoiding toll stops or seasonal roads. Click the green Get Directions button. This will bring up the Suggested Routes list, showing all possible routes to your destination. Select your desired route. The Suggested Routes section shows approximate travel time based on current traffic. The major street you would be taking and the total distance of your trip is also shown here. Use these criteria to help you choose which route you want to take. 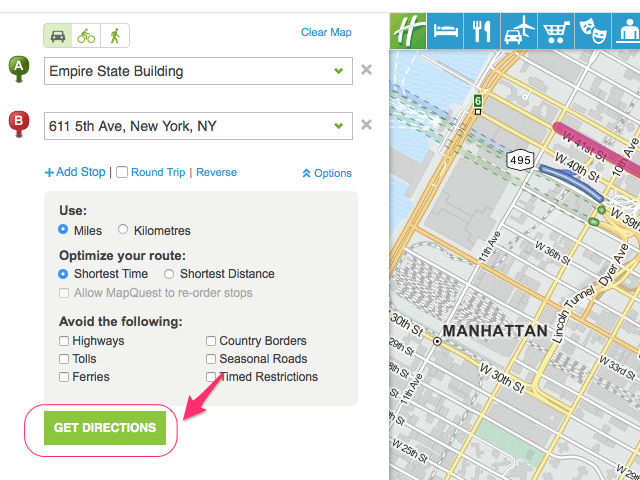 Scroll down the left-hand sidebar, past the Travel Options, to view the Driving Directions section. Directions are listed in step-by step format. 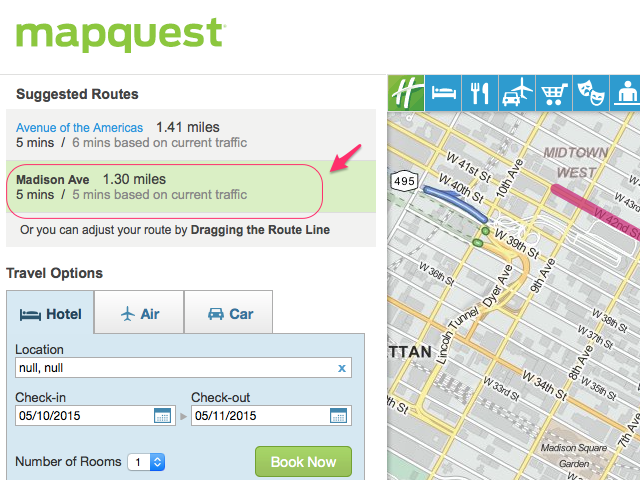 Look to the right side of the screen for a map of your route and options to print or email the directions. 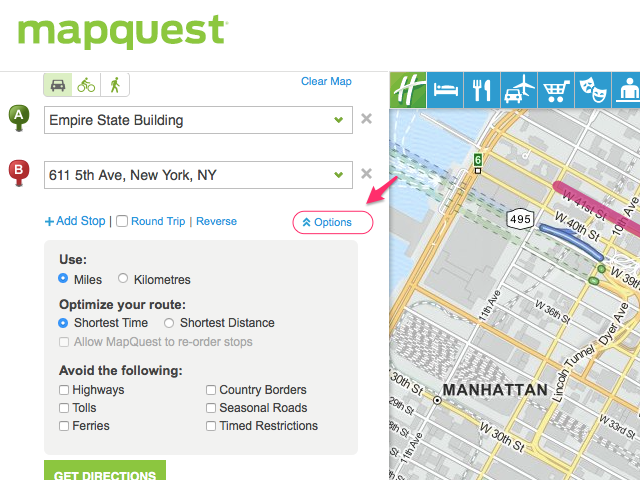 Use MapQuest Gas Calculator to calculate the approximate fuel price for your trip. 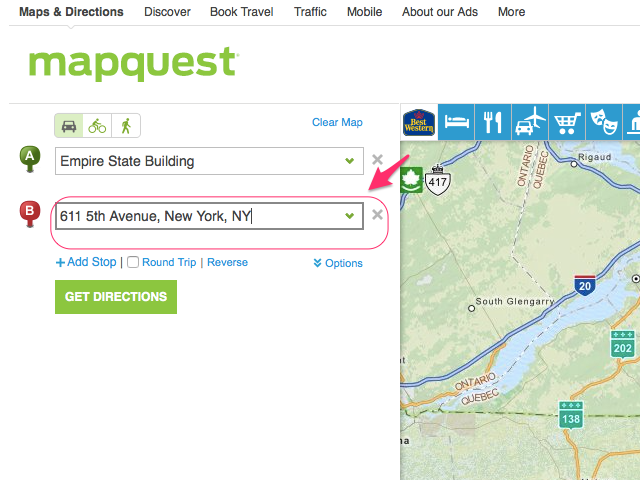 Create a MapQuest account to access more features including the ability to save maps and bookmark favourite locations.